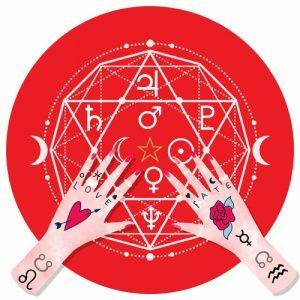 Your birth chart reveals all the gifts and potential you have to work with so you can lean into your strengths. Most tellingly, you’ll find the challenges you’ll need to balance or overcome in order to live your best life. Enter your birth data into the fields below and your free birth chart will pop up, as well as a list of all the planets in signs + aspects. WHAT IF I DON’T KNOW MY EXACT BIRTH TIME? If you don’t have your exact time of birth either go for as close as you can, or 12pm midday. HOW CAN I FIND OUT WHERE THE PLANETS ARE NOW? Key in your current time, date and location, to see a chart for where all the planets are right now. Tip- If you’re new to Astrology, use the 5 main aspects only – The Conjunction, Sextile, Square, Trine, and opposition. For giveaways, special offers, courses, workshops and to stay in the know with all things Astro & Mystical, join the Astro All-Star email list. 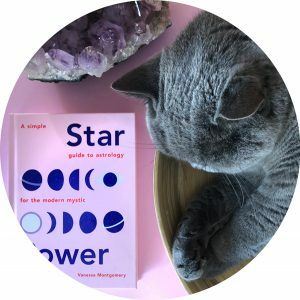 If you’ve arrived at this page because you’re reading my book STAR POWER a simple guide to astrology for the modern mystic, hello and welcome! GET YOUR SHINE ON FOR CONFIDENCE, LOVE AND ABUNDANCE! Sign up for our mailing list & amp your solar power with this bonus guided hypnotic audio journey… it’s really that easy!